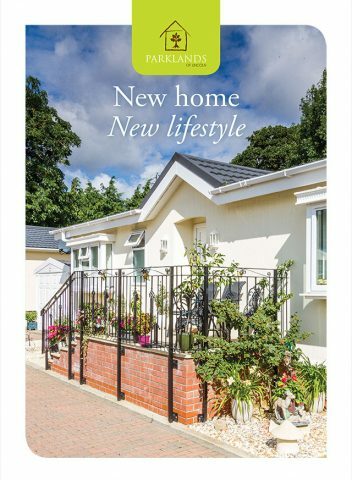 We have taken some of these details from Park Home and Holiday Caravan magazine and from the BH&HPA (British Holiday and Home Park Association). They both offer sound advice when it comes to buying a park home. For many, buying a park home can be a life-changing experience. An exciting new move with new friends, picturesque surroundings and extra equity waits. An entry level home can typically start from as little as a £140,000 – that’s the turn key price. Similarly to buying a car, there are different manufacturers with different model ranges and the cost varies accordingly. Homeseeker’s Langdale Lodge Tingdene’s Mackworth Lodge (unfurnished), Sovereign’s Merevale are homes that fits this category. There are a wide choice of park home manufacturers available. We’ve listed a few that we recommend on our manufacturer’s page. Remember that if you opt to purchase a home from a manufacturer i.e. not purchase a home already available at the park, the final cost will be more than the ‘ex-works’ price quoted by the manufacturer. The park owner will charge a siting fee to transport the home from factory to park, siting it on its concrete base and connecting it to mains services. Ensure that you budget for this as your total bill could easily double. What are the home's energy costs like? All the park home manufacturers that we advise to buyers are built to residential standard BS 3632:2015. All homes and lodges built to this standard are required to be energy efficient. Residents at Parklands have all commented on how favourable their energy bills have been since moving into a park home. Do the homes have their own garden? Depending on the plot, some plots favour garden space more than others. It is commonplace for residents to look after the border around their home and then it is up to you as to whether you wish to maintain the rest of the ground surrounding your plot or would prefer us to take care of it. Can I arrange a mortgage on the park home? What are the homes made from and are there any guarantees? Typically, a new park home comes with a 1-year warranty for the entire new park home. Similarly to new build house, a new park home also comes with a 10-year structural warranty when registered successfully. It’s not so much “how” as “where” which makes the main difference. Park homes are usually constructed under carefully controlled workshop conditions before being thoroughly checked and transported to the park. Here they are sited on a concrete base and connected to all mains services such as electricity, drainage and mains gas. How do the costs compare with conventional housing? They compare very favourably and many people find that the sale of a larger family house provides sufficent cash to buy a luxurious, modern park home with enough funds left over to ensure financial security. As to the actual costs of a park home, these of course vary according to the model chosen and the market value of the land on which the home is situated – precisely the same factors in other words, which influence the price of a conventional house. If you buy your home from a park owner, they must provide you with a copy of the agreement 28 days before you buy the home unless you agree in writing to reduce this period specifically. Under the new Mobile Homes Act 2013 there have been recent significant changes to the law. The Government has published a web-site detailing your rights and the law relating to this. You still have to pay council tax (which at Parklands is the lowest, at Band ‘A’, which i approximately £1000 a year). You also pay a ground rent to the park owner on a monthly basis. The pitch fee at Parklands is (from 8th Jan 2018) £122.24 a month. This covers charges such as the care taker who manages the communal landscaping, CCTV, secure vehicle and pedestrian gated access and communal lighting. We would also advise insuring your home and its contents. Is there anywhere I can store my caravan/motorhome at Parklands? Yes. We’ve made arrangements with a local Caravan Storage Company based 3 miles away from the park. We’ve agreed very competitive rates for our residents.